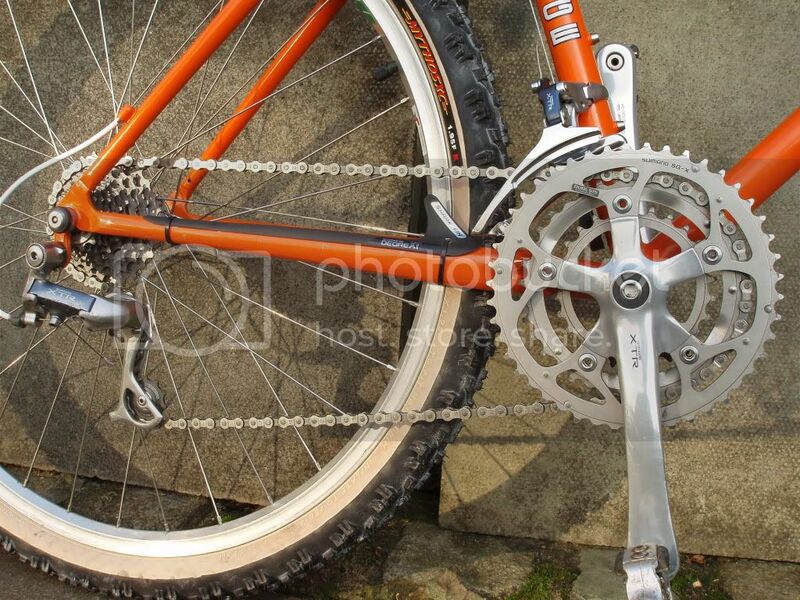 This build kind of began in 1998, when I received a 19" Marin team titanium. This was too big for my dwarf legs and too good to let go so I quickly arranged a part ex involving the owner and a Canondale. benandemu was now the new owner of the Marin (frame only). The Pace RC35s from the Marin went to the Canondale. 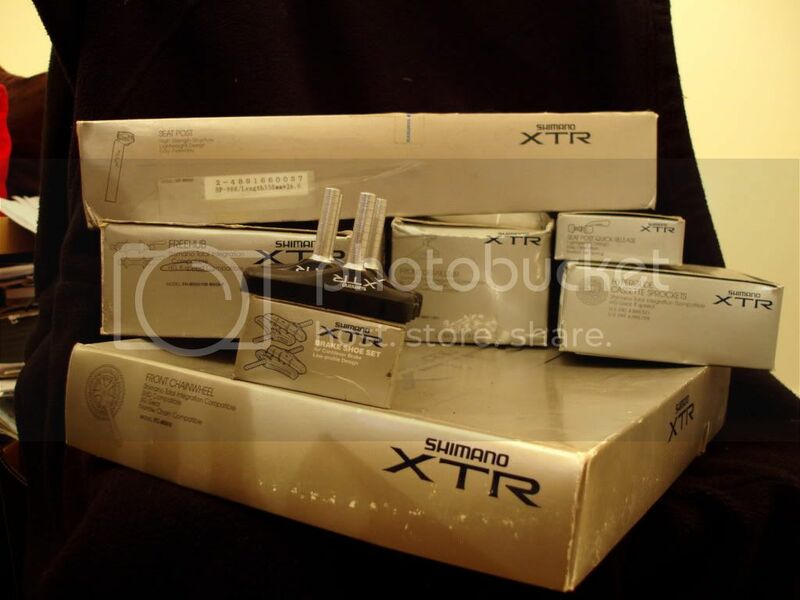 Jump to 2004/2003, I had decided to build a bike up using all the original XTR bits known as m900. 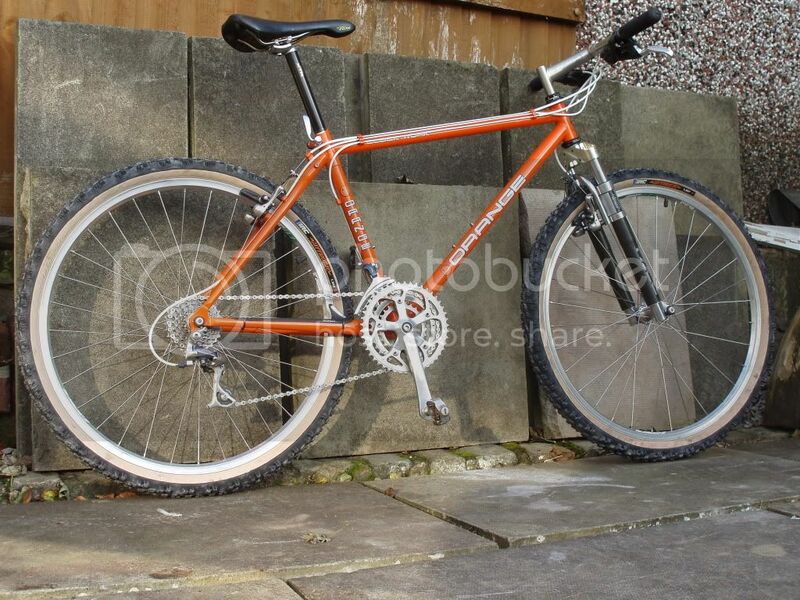 This new fangled google and Ebay thing helped me to find all sorts of bits for my build including a 1993 kilauea to build the stuff onto. The group never looked right so after only 2 rides it was removed and stored away. About 3 years ago my friend with the Canondale bought some RC30s and gave me the RC35s which I had last seen when I took them off the Marin Ti. They had no travel or decals but looked ok, so I shelved them. last year I decided the m900 and the RC35s must go together, and soon found a Dyna-Tec Diablo 1994, but this was too new for the forks so I never went through with the build. 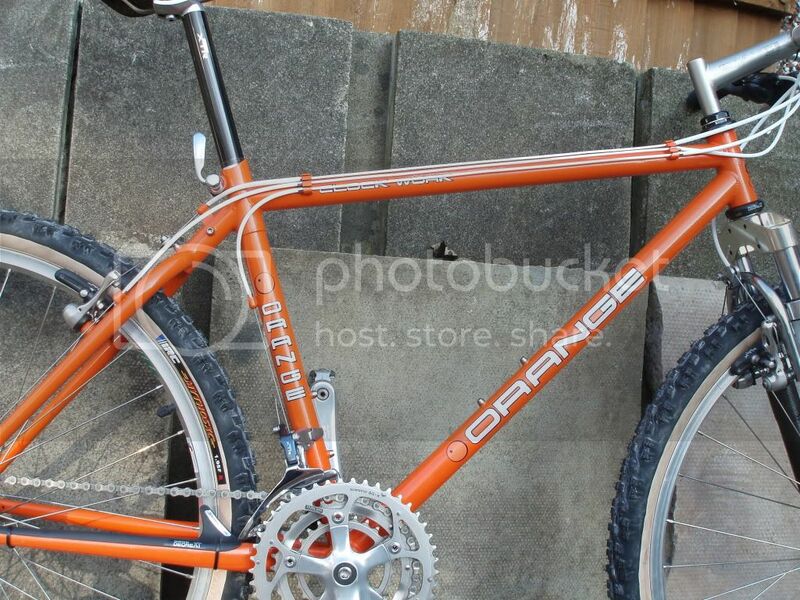 Now to Sept 2010 and an Orange turned up painted and in my size, perfect 1993 year and also an item that was often built up BITD with XTR and Pace, USE etc. 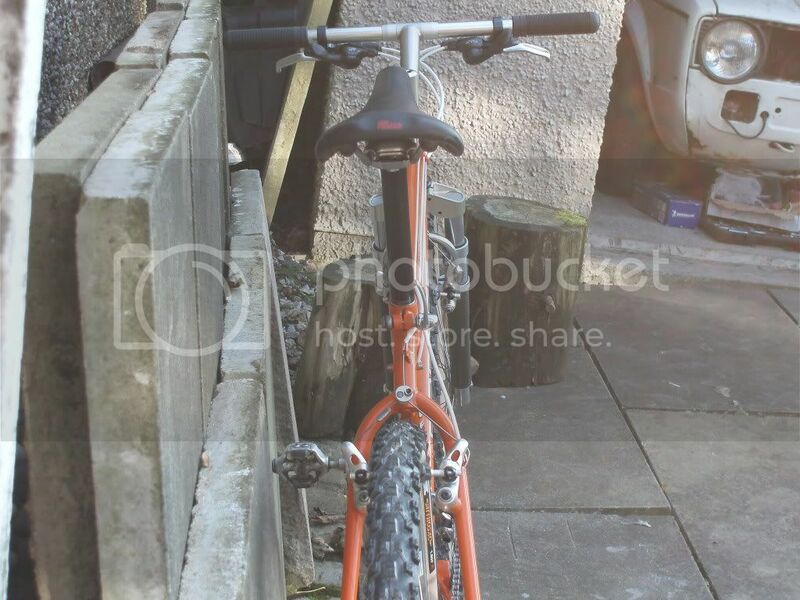 Some white cable an Orange stem and a couple of Pace bits from Tim, and the build could begin. super cool build, neat tidy, properly specced, as it should be. 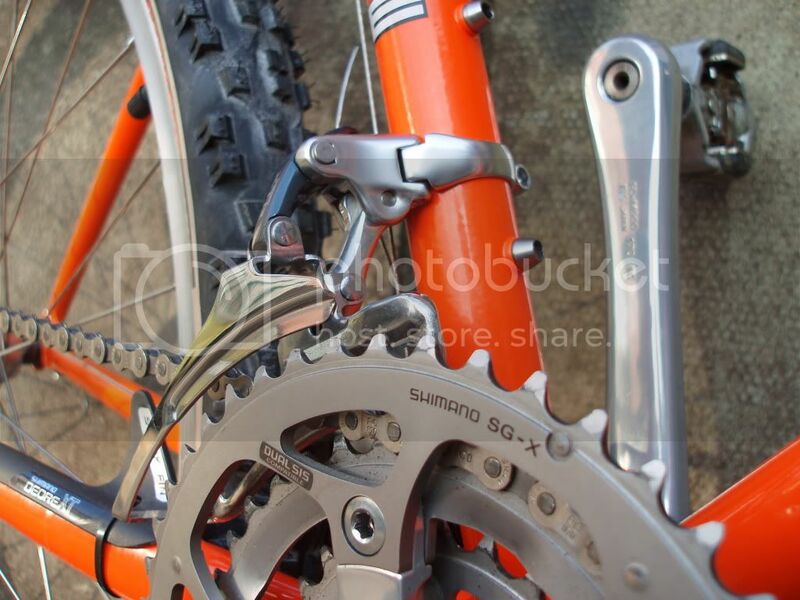 It was after the OWMBC that the Orange theme grew in my head for the XTR and Pace. 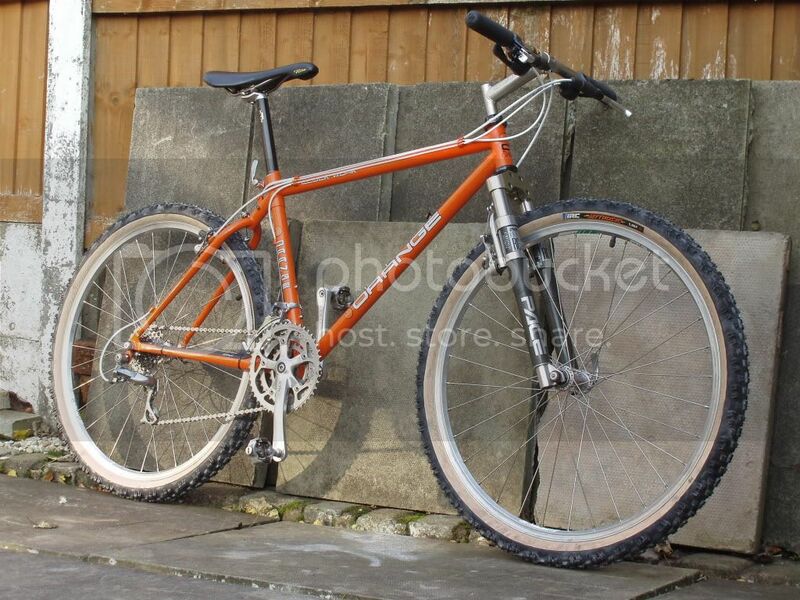 I nearly bought one in '94 but went for a Kilauea from Leisure Lakes, now I have ridden this there is no comparison in build quality etc. Very nice build. Good to see a Clockwork in it's going out clothes rather then work spec. 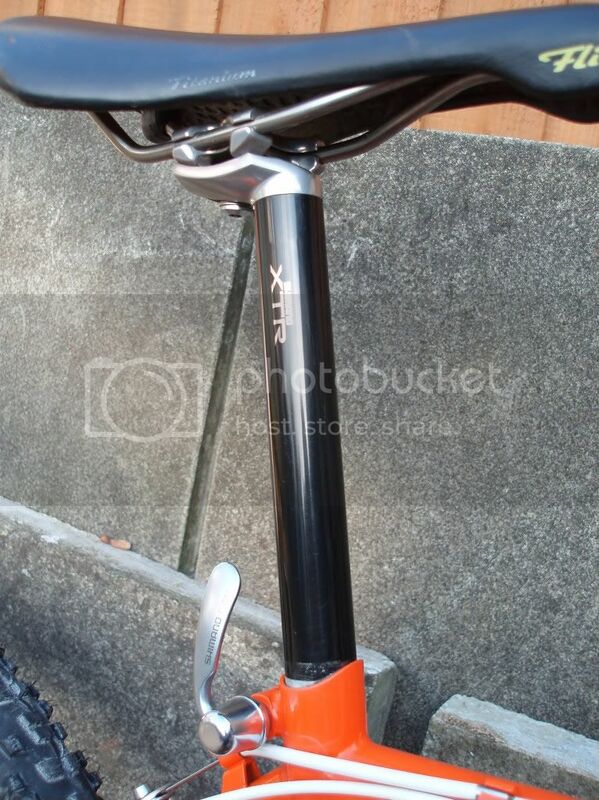 That's a really sweet looking ride, nice colour, looks the same as my P7, 'Bomber Orange' I think?. Orange Clockwork 10th Anniversary rigid, Clockwork 10th Anniversary FS, Clockwork 10th Anniversary frame, C16R project, Mid '90's P7 frame. 2011 P7, 2012 R8. 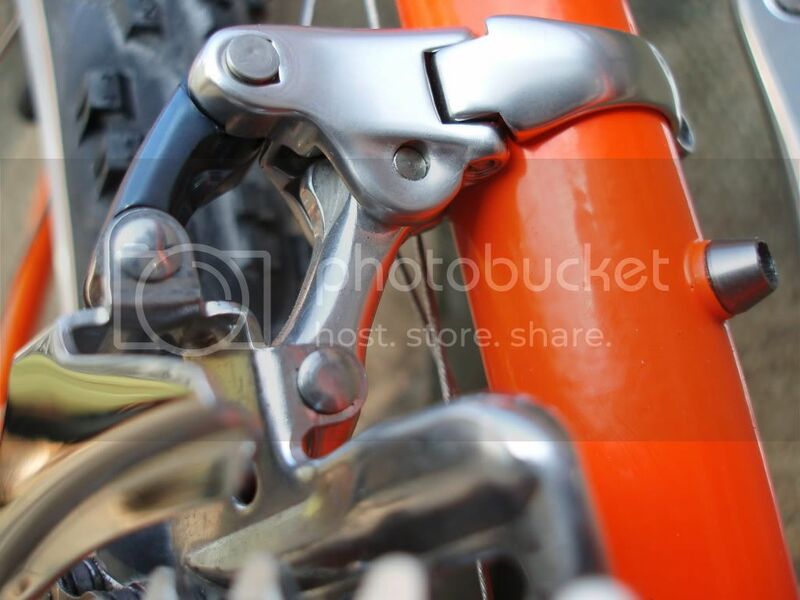 Trek 850, STP200, X01, 6066. 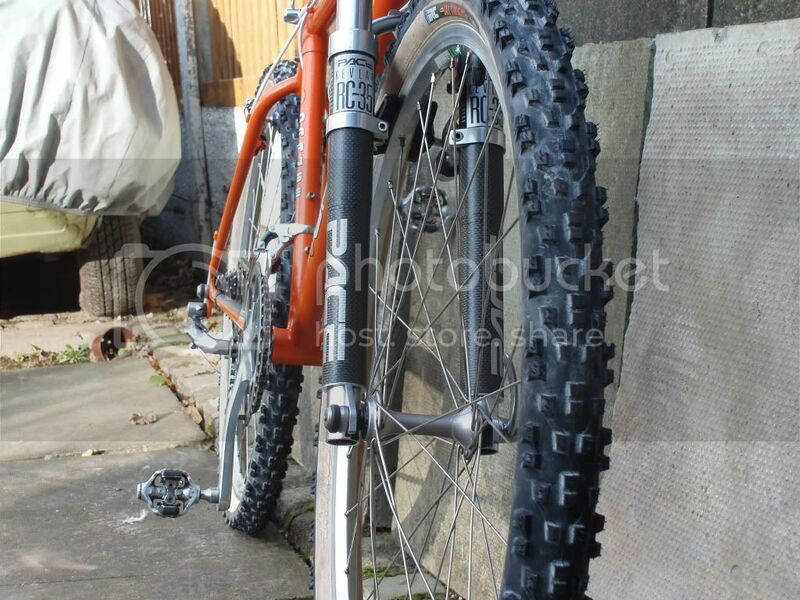 KHS Comp ST, Kawasaki KMB 450, 2001 Kona McRae Limited Edition, 2003 Kona G4 Challenge. 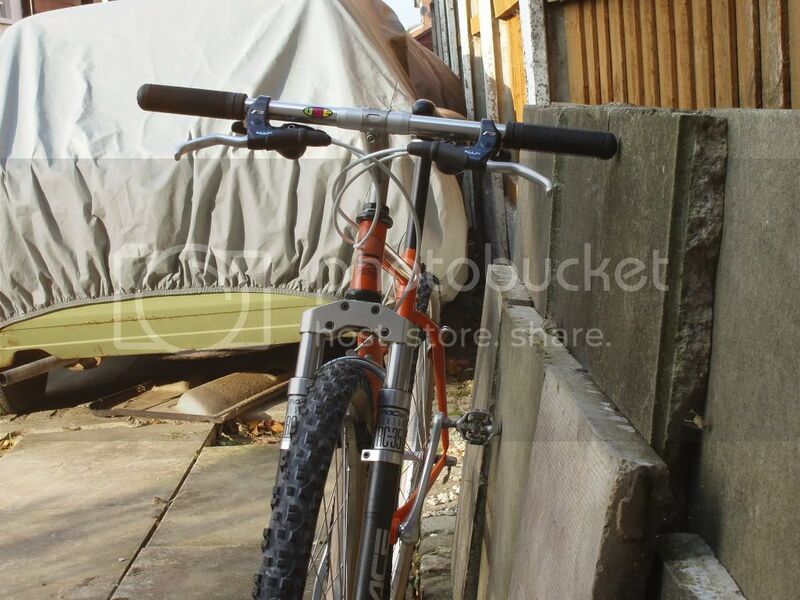 Pashley Land Rover XCB, 1 good + project!, Pashley Moulton Land Rover APB x2 green, 1x yellow. Last edited by Defender on Thu Oct 14, 2010 11:06 pm, edited 1 time in total.